Greee has recently announced that it wants to join the tax credit party, but our experience here suggests that if this were to happen, it's going to take a while. 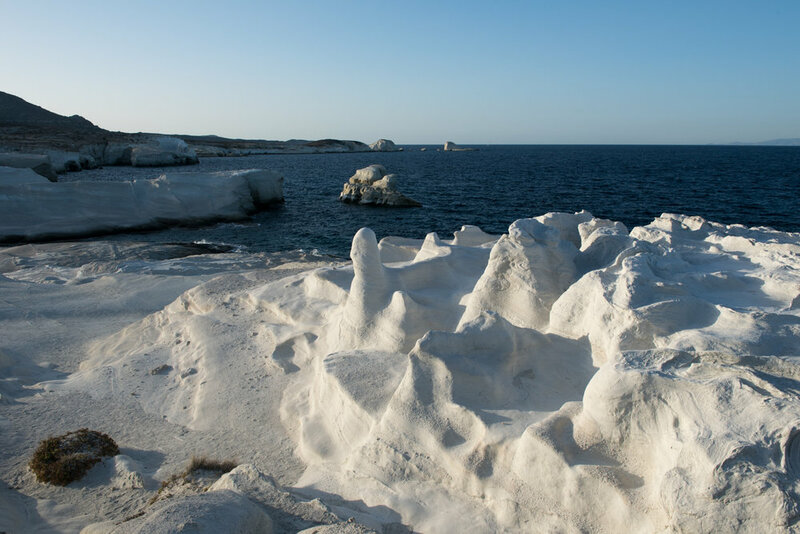 So in the mean time we are continuing to promote the island of Milos, a gem in the Cyclades just an hours flight from Athens, where decisions can be made quickly and usually in the productions' favour. The island benefits from a fabulous array of locations, including beautiful beaches, a stunning wild coastline, whitewashed villages and some truly unique geological treasures. In early autumn 2017 we teamed up with our local fixer on the island and organised a producers familiarisation trip to showcase Milos' gifts with some of the worlds biggest producers attending. It was a highly successful trip with some strong interest shown by the attendees and we're looking forward to seeing a big rise in production on Milos in 2018. Please get in touch to discuss what Milos can offer your production.